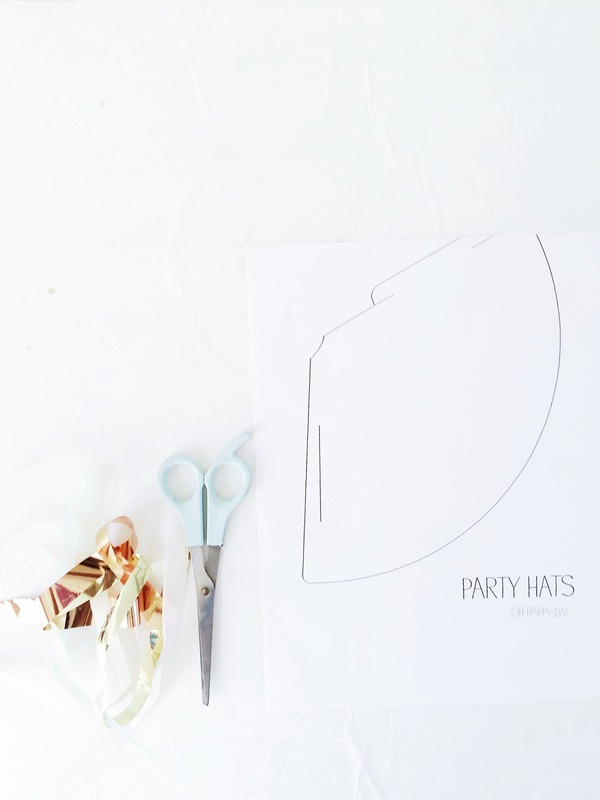 We came across these super cute, easy and fun party hat templates on Pinterest and sure enough we landed on the marvelous Oh Happy Day blog. 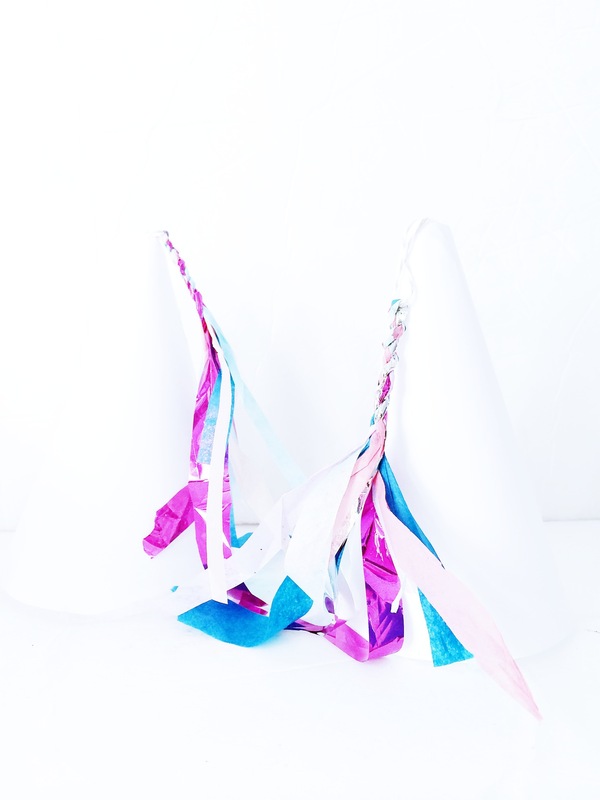 After getting sucked into the amazing tutorials and DIYs on the site we finally landed and got to work on creating these amazing party hats! 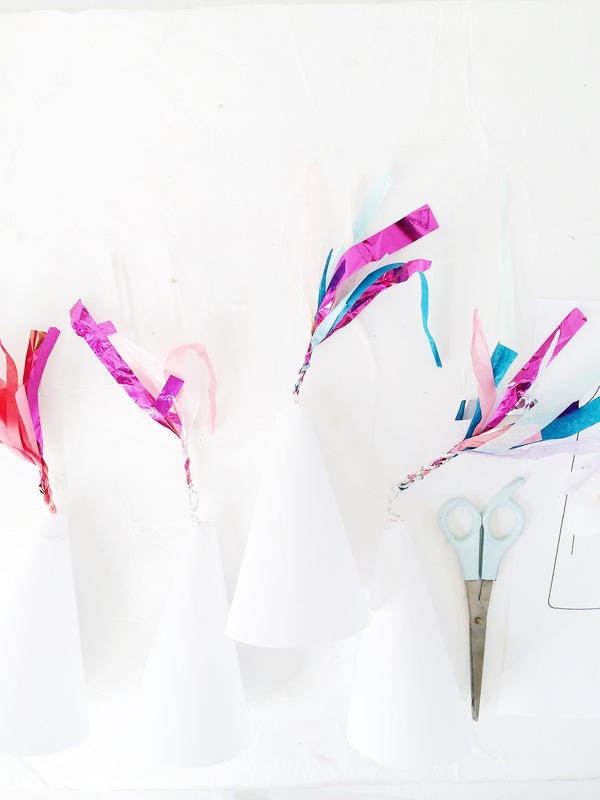 I mean we used pretty basic white card stock paper but imagine these bad boys created with glitter card stock, like the paper we use in creating our glitter word banners or even a fun printed fabric! 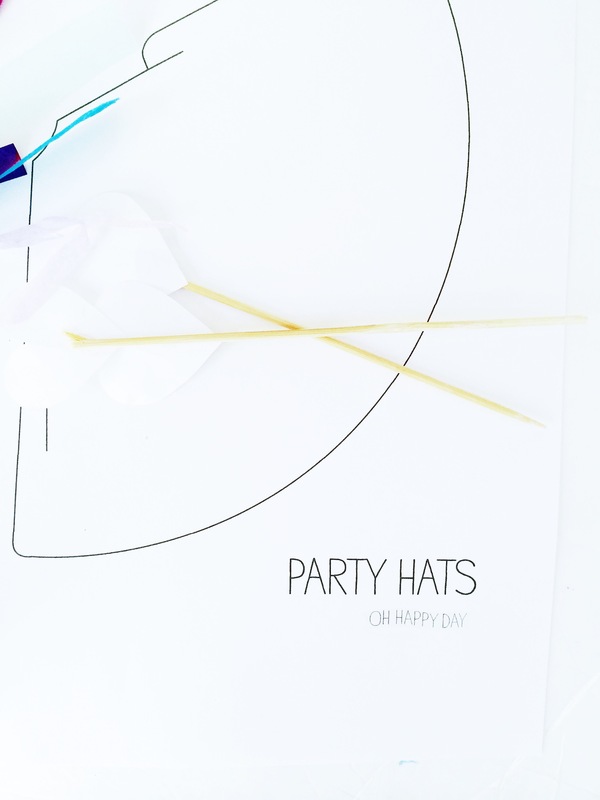 Oh man, I smell our second party hat tutorial a-coming. 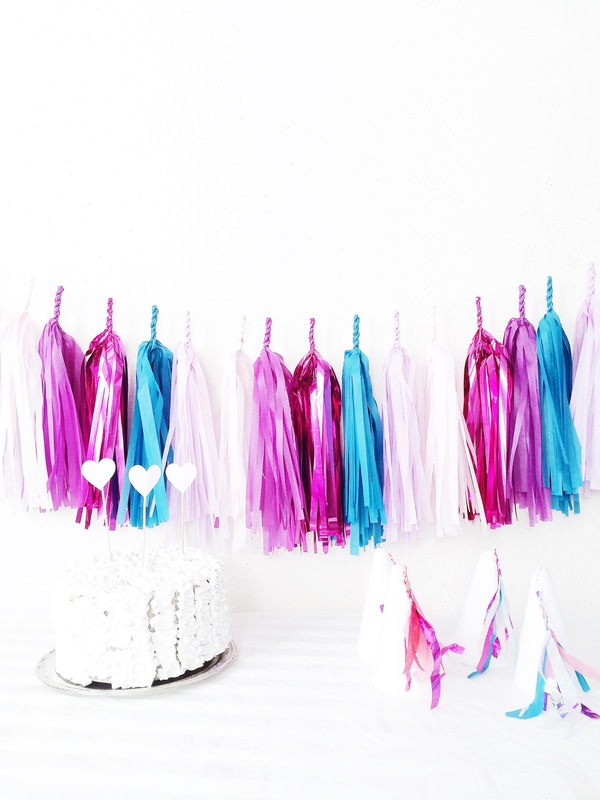 And after creating a few tassels from leftover scraps of paper here’s what we created!! Teal and Lilac and Pink Mylar, Oh My!